← Did Cabinet Seize Charity Money to Satisfy Casino Demands for Retractable Roof? This entry was posted in Edgewater Casino, Gaming grant cuts and tagged B.C. government, B.C. Place Stadium Roof, BC Liberals, Edgewater Casino, media release, press release, roof financing, T. Richard Turner. Bookmark the permalink. Seriously? BC Place is OWNED by the government and run by PAVCO. That’s why it’s public money on the table for the roof. Seriously, anonymous “Bob”? 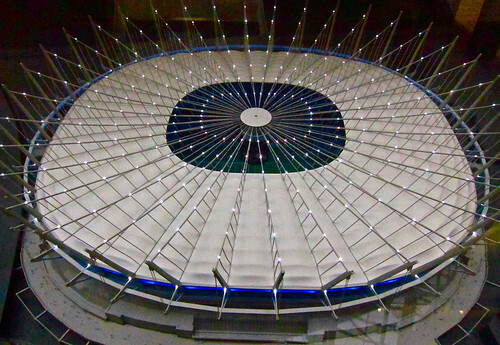 If the stadium roof is a public project, why no business plan? Why not publish the details of its financing with the public’s money? Why not disclose which private parties are benefiting from hundreds of millions of dollars in risk, offloaded onto the public, that they are too lame and stupid to take on themselves? Your simple answer betrays the workings of a simple mind that is easily deceived. No wonder you are too embarrassed to make your real name public. Interesting point Bob. Though title to the underlying equity (land, structures, improvements) is rarely material to these deals because title to the real estate is not the attraction for private partners. It’s illiquid, it depreciates and it doesn’t generate continuing value over time. To a private partner, the value and attraction in a stadium enterprise is in sponsorships, broadcast rights, leaseholds on luxury boxes for corporate entertainment and a host of other intangible but highly valuable (and tradable) assets. This can easily be severed from the real estate. In fact, as a separate asset class, it should be. The question is why nothing was done to secure those partnerships, and the answer is in the timing. The stadium deal came together in the summer and fall of 2009 when two factors dominated the Vancouver economic climate: a catastrophic global economic crisis, and the approaching 2010 Olympics. There was huge uncertainty and nobody had any cash on hand to participate in a stadium deal for 2011 opening. Companies interested in sports related corporate entertainment were already tapped out paying for the 2010 Olympics. And no MLS franchise deal had been inked. Responsible oversight probably should have delayed proceeding on Phase 2 of the stadium upgrade (ie, the roof) until these conditions resolved themselves.